Because you never type on facebook, you just upload pictures containing the text you would have typed…if you knew how. 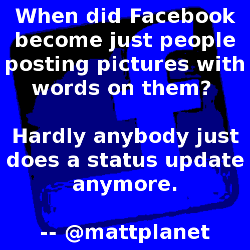 When did Facebook become just people posting pictures with words on them? 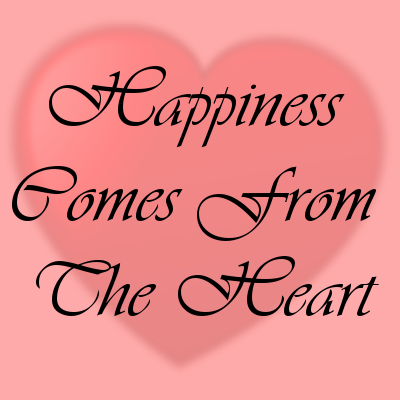 Happiness comes from the heart. Or something. An example of a saying that means nothing but is guaranteed to get Likes. 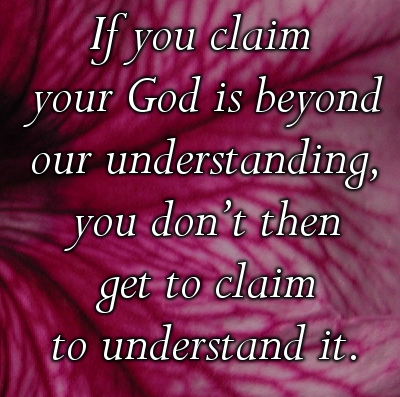 If you claim your God is beyond our understanding, you don’t then get to claim to understand it. Not that this will stop you, of course. You don't, but I do. 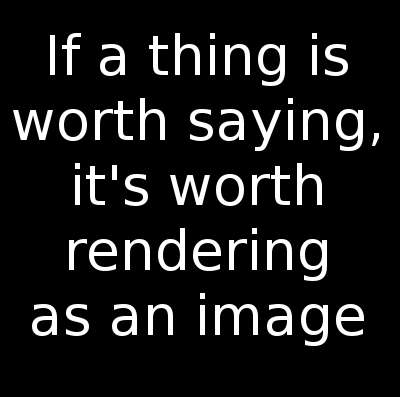 If a thing is worth saying, it’s worth rendering as an image.